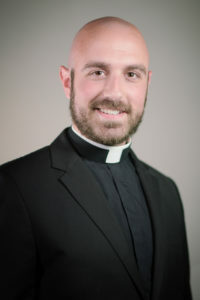 Every summer, when we seminarians go home, we are usually given an apostolic assignment to help further our pastoral outreach while not immersed in seminary life. Usually this assignment is something basic: such as living at a parish rectory and helping out the pastor in his priestly duties. In some cases, however, those assignments can be a bit more exotic. This last year, I had the privilege of experiencing one of these exotic assignments when I was assigned to the 4th Avenue jail ministry in Phoenix Arizona. I hope that through this article, I can share with you the Graces I have received from this extraordinary endeavor. When I was first told that I was going to be ministering to prisoners in the diocesan prison ministry program, I was honestly very apprehensive and nervous! I have never been in a prison before (obviously), nor have I ever known anyone who was in one. Going into the summer, the only experiences I have had of prison life was what you see in movies and documentaries (both of which brought me no comfort). Although I was excited and willing to participate in this outreach, I was also very understandably hesitant. I never would have expected my experiences in the prison to be so profound, and I most certainly would have never expected to see Christ in the prisoners. Besides, at that point, I thought I was bringing Christ to them and not the other way around. Earlier this July, after all the government background checks and training sessions, I was finally ready to make my first visit into the prisons. Kevin Starrs, who is the coordinator for prison ministry in the diocese, took myself and some other interns down to 4th Avenue prison. As we were going through security, Kevin began to tell us stories of how he would be in the prison as they undergo a lockdown and all the craziness that one can imagine is such a situation. These stories did not give me any particular ease as we came closer and closer to being beyond “the point of no return”. A few more hallways and security elevators later, we finally arrived at the cell unit we were assigned to minister to that day. When the cell guard approved us to enter, the door opened and we were thrusted into the concrete jungle of the jail house. I couldn’t help but be on edge when I realized we were walking right into the cell unit in which these guys lived. Just like the movies, there were two floors of cell blocks filled with guys. Right beside me was a group of men playing cards on a long metal table installed in the center of the cell block corridor. The look on these men’s faces when we made eye contact made me very uncomfortable as I found myself overwhelmingly vulnerable. A very defensive and judgmental attitude infected my mind as I distinguished them vs. me! After a few moments, the guard unlocked the chapel door and Kevin let out a loud holler: “Catholic Service!!!”. As Kevin started the communion service, I noticed something different about the men that sat in front of me. I noticed that they were desperate, broken, lonely, confused, and above all, thirsting for God! I could see in their eyes that they had seen a lot and suffered much; I began to see that these men were no different than me. I couldn’t help but be reminded of a passage from the Imitation of Christ: “Wherefore, if you see another sin openly or commit a serious crime, do not consider yourself better, for you do not know how long you can remain in good estate.” I had an overwhelming sense of mercy for these men because I saw myself in their darkness and in their pain. I knew that if I couldn’t find myself to love them, I could never love myself. The defensive and judgmental attitude that I had when I first entered the prison had fallen! Every day that I went into the prison became a blessing, not because I was evangelizing to prisoners, but because I found myself looking into a mirror. Through their brokenness, they touched my heart and have helped me to see myself for who I truly am despite my sins. I saw sinful men who could never earn God’s love; I saw sinful men who cling to God despite all the darkness surrounding them; I saw sinful men who were loved. Here I was, on the “outside”, with everything I could ever want, but I have never thirsted for God like these men did. In prison, I have found a Christ filled hope, that despite my brokenness, there is something in me worth loving, there is something in me worth the spilling of Christ blood. I saw the face of God in these men, and they have shown me that I too am a child of that same God. My brokenness and sinfulness has become my reason for worshiping God, because He has shown his love nonetheless. All of our lives are a story of God’s search for man, and sometimes we are stripped of everything we have and everything we are in order to recognize this reality: that we are nothing without God and we are everything through Him! These prisoners showed me that the one who has little, much is given and the one who is forgiven of more, loves the most. So many of our lives are consumed with boundaries and luxuries that keep us comfortable and distract our eyes from gazing upon Him who justifies our greatness. Although most of us will never be convicted of a crime and spend time in jail, some of us are locked away in the prisons of our own gated communities and hardened hearts. What I have discovered is that when one has the courage to go beyond the walls that contain their comfortable life, they will find broken people that all share the same human story. I encourage you, live uncomfortably, for “you were not made for comfort. You were made for greatness” (Benedict XVI). Break free of you prison and you just might find out what it is you really are: broken and loved.